The future of ecommerce is what sometime gets people thinking on whether or not they should opt for an ecommerce website. This applies more to those having an existing brick shop and wanting to venture online. However all such people can breathe easy and go ahead with their plans for a new store, since the experts believe that the future of ecommerce is quite promising. In fact in the years to come ecommerce may become the major tool for sale. The current figures show that online shopping is becoming very popular and the volume of sales via online stores is gain ground on that of the brick stores. Online Shops for Mobile DevicesThe constant innovation and customization of your website as per the new releases of the ecommerce softwares can easily diversity your trade. The trends show that more users will be driven towards online shopping due to the favourable schemes and services offered. This will also help in collecting feedback and suggestions from the visitors or customers at a greater level. 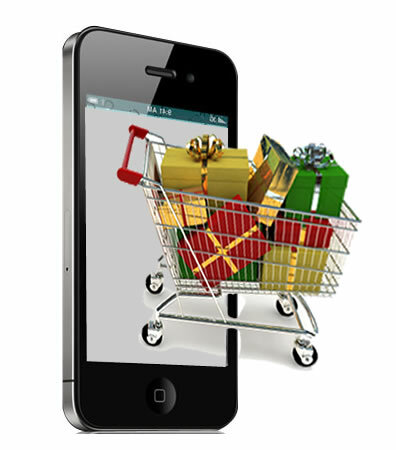 With the increasing use of mobile devices to access the Internet, ecommerce has realized the need for mobile integration. Many ecommerce websites implement a responsive design that enables them to do just that, have a decent online presence on just about all the platforms. Thus from the user interface perspective the ecommerce website will continue to adapt and make sure that mobile users with different types of screens get a full-fledged shopping experience. This is done via the responsive website design make it easy to have a common website for all platforms. It is quite impractical to have a website for the numerous different mobile sizes and platforms around. E-Commerce Available at OnlineThe retailers these days aim at creating ecommerce systems that attract a large section of the market share. Scalability is important when you wish to compete in this very competitive market in order to accommodate for future development. The customers are starting to expect more from their online shopping experience and soon only images and product description may not suffice. Videos that demonstrate the products are becoming increasingly popular as is social integration. In fact social integration is evolving and is likely to become something that influences consumer purchases to a great extent in the future. Furthermore the future seems to be more about customized experience for the online consumer. A more customized experience that can remember your preferences gauge the level of your interested in certain items based on several factors and dynamically adjusts the prices and options thus making sure that you do now lose a customer a similar online store. Thus the future of ecommerce does look pretty bright as longs as the ecommerce web developers continue to do the good job and bring in more innovations in the field.